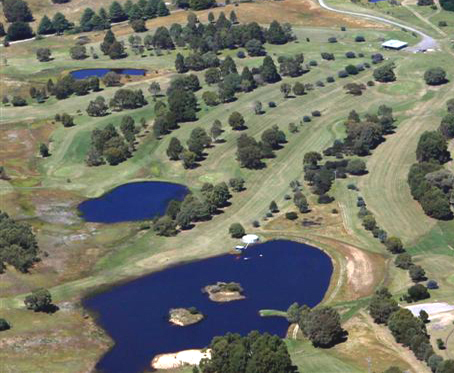 Located on the scenic tablelands of the Strathbogie Ranges, this undulating, to at times hilly, 18 hole grass green course, sits just on the edge of the Strathbogie township. Picturesque views of the surrounding countryside are enough to make your golfing experience a rewarding one, even if you don't hit "Tiger Woods" shots all the time. New members are of course welcome to join this small but very sociable club, with the annual subscription being $350 for a full member, $250 for a summer member, $50 for juniors and $10 for social members. Greens fees - $20 per day. We encourage social golf clubs to use our facilities any day of the week. Competitions are held every Saturday and Tuesday. Summer and winter Saturday tee-off times are 8:30am and 12pm.